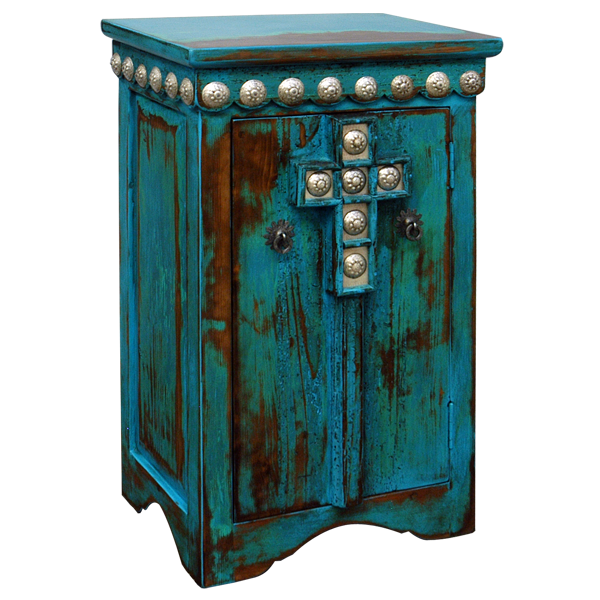 With its Baroque style cross and antique stain, this Spanish colonial style, handcrafted end table will be a wonderful addition to your Western décor. 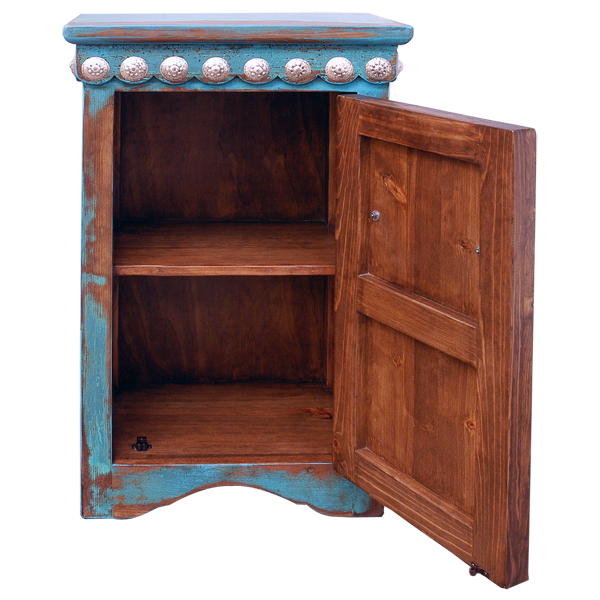 The antique, turquoise stain gives the end table a weathered look, and the top of the end table also has antique details. This custom furniture can be easily combined with our Las Cruces bed (bed25) and our Las Cruces armoire (arm13). The front and the lateral sides of the top rim of this end table are adorned with small, silver finished conchos. 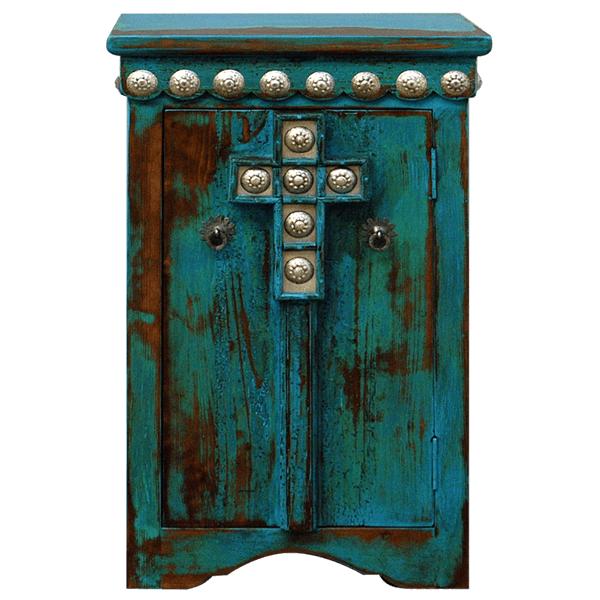 This custom end table features a rectangular cabinet door, and centered in the cabinet door is a wood cross, adorned with silver finished conchos. 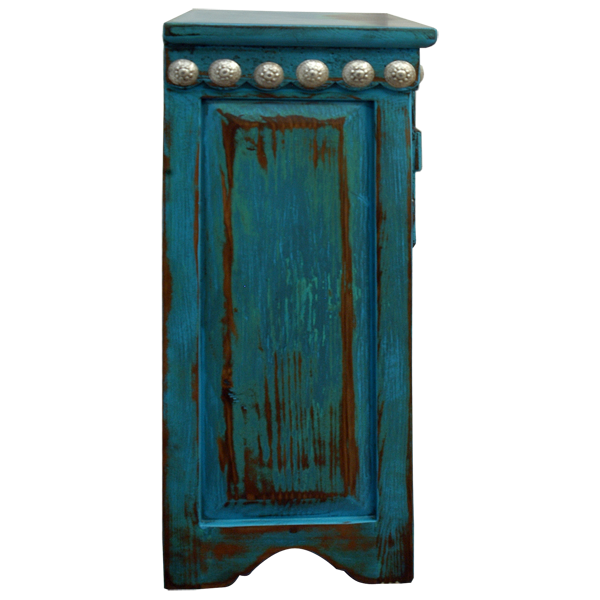 Also, there are two silver finished, pull handles on the face of the cabinet door. The end table has an inside shelf for storage, and there is a decorative wood panel on each side. This custom furniture has a slim design, which makes it very versatile. Additionally, the table is built with a curved base, and it rest on wood feet. This durable, end table is made with the best, sustainable, solid wood available, and it is 100% customizable.